17.04.2016. Vitality Stadium, Bournemouth, England. Barclays Premier League. Bournemouth versus Liverpool. 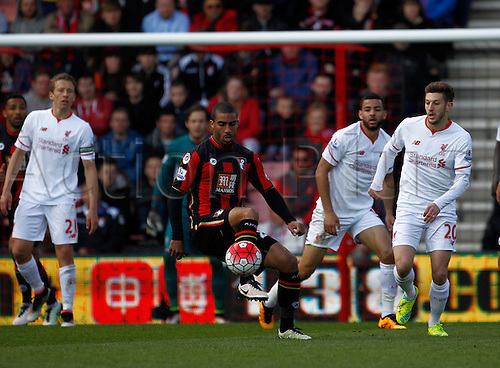 Bournemouth striker Lewis Grabban holds up the ball with the Liverpool defence lining up behind him.